Bridgewater was not about to make the same mistake twice on third down. 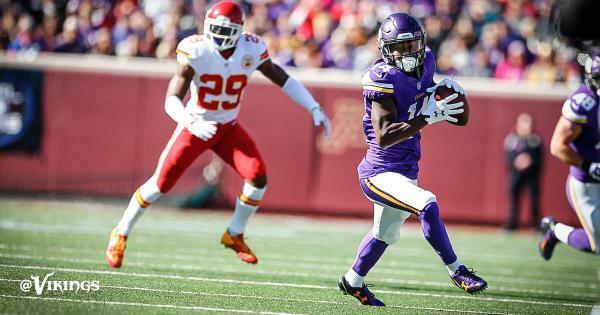 Peterson's carries today go like this: 5, 1, 3, -1. Then no gain, -1, -6. So 6 carries for 1 yard. 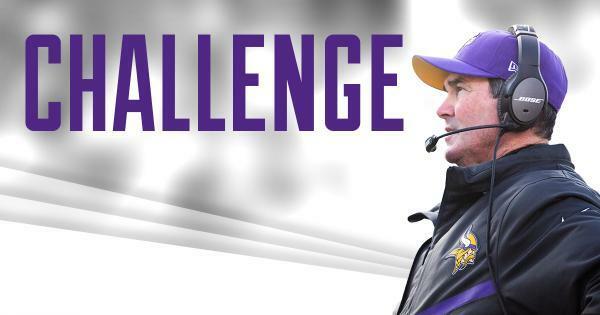 Meanwhile, #Vikings have drawn two offensive holds on four pass plays. Floyd and Joseph. 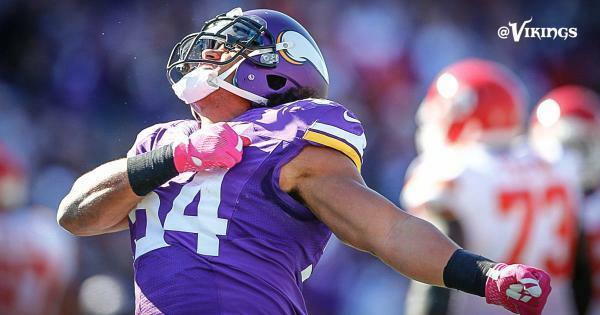 Should've been a third hold, but Floyd gets popped for a late hit on Alex Smith.
.@EricKendricks54 records his 2nd career sack and now has a sack in consecutive games after taking down Peyton Manning in Week 4. #Chiefs rookie LB Ramik Wilson, who is filling in for injured Josh Mauga, is down on the field.
.@stefon_diggs picks up 20 yards on 2nd down to give the #Vikings a 1st down. Someone should nudge Cordarrelle on sideline, "You watchin?" This is the first time I've seen the Vikings live this season. This Stefon Diggs character is pretty good, huh? At the end of quarter one.. Seems like Peterson is getting frustrated out there. 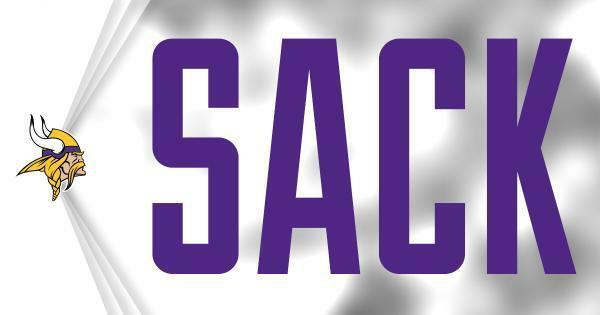 Peterson with 10 touches for -4 yards. Peterson's performance today is not atypical for him. People made fun of Asiata for getting 3 yards a carry last year, but at least you can operate an offense around that. 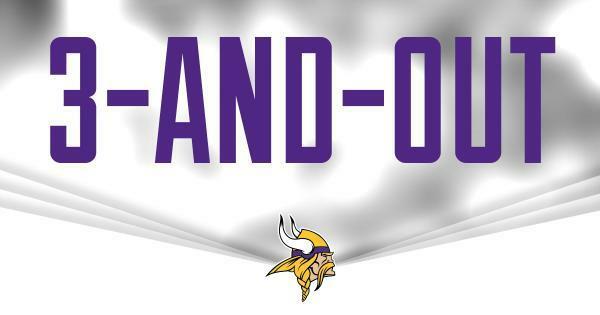 The ruling on the field stand the #Vikings offense is on the field for the fourth down play.
.@AdrianPeterson plunges forward for the #Vikings first down! 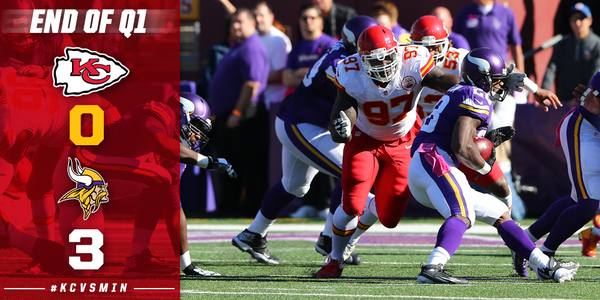 A KC personal foul penalty on 3rd down gives the #Vikings a first down! 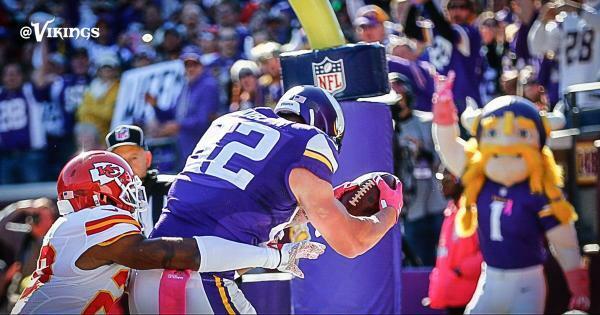 Teddy Bridgewater to Kyle Rudolph for 4 yards.
.@KyleRudolph82 now has 19 career TDs after hauling in his 2nd of the season. 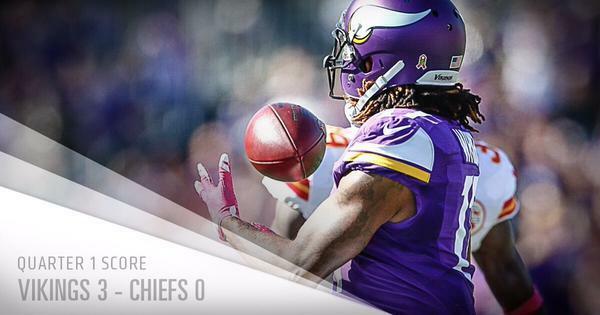 #Vikings lead 10-0 with 4:43 to play in the 1st half.